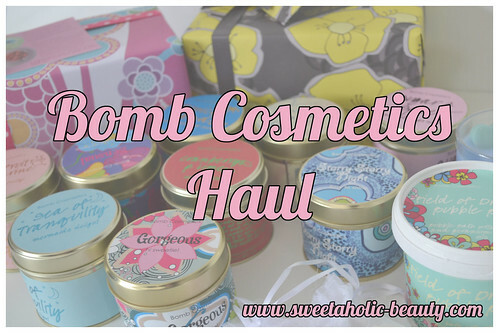 A few months ago, I discovered the amazing Bomb Cosmetics, and did a huge haul! (Which you can read about here.) Since then, I've tried a few of their candles, but decided I definitely needed more! When Get Drenched, the Australian distributors for Bomb Cosmetics let me know about an absolutely amazing deal they had going on, I couldn't resist another haul for Christmas! Get Drenched are offering a free gift pack worth $34.95 on all orders over $100, which is pretty generous! To make things even better, they decide to throw in two packs if you spend over $200! I decided to pick a few things up for my mum, as she's a bit of a candle fiend, and ended up with two free packs, courtesy of Get Drenched! My haul, over $200 worth of beautifully scented goodies! The above six candles were ones I picked up for myself. 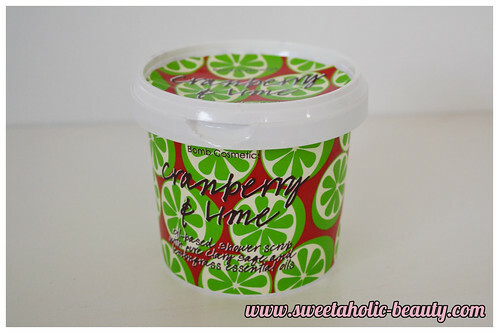 My absolute favourite out of all of them is Cranberry & Lime, the scent is beautiful and fairly strong, so my entire lounge room smells amazing even with the candle isn't lit! 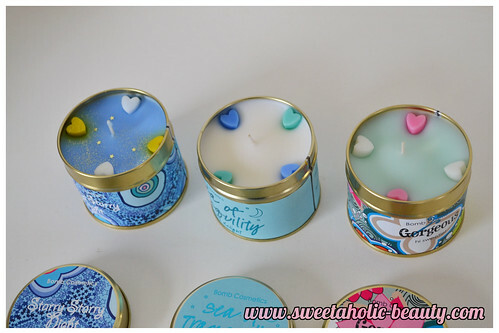 The inside of the candles is just gorgeous! So far the only one I have actually lit is Cranberry & Lime, and after a while the hearts melt into the rest of the candle, and it mixes into a gorgeous pink colour! It's beautiful! I picked up three candles for my mum. I chose Starry, Starry Night as I already have this one myself, and love it. The scent is really fresh and relaxing! Sea of Tranquility also smells really relaxing, while Gorgeous smells a little bit like marshmallow! Starry, Starry Night looks amazing when lit, as it's got glitter and miniature glitter stars speckled, so it actually looks like the sky when it's lit! 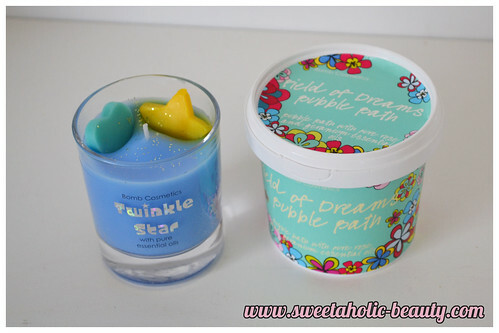 For my mum I also decided to get her the Twinkle Star glass candle, as she is in love with stars at the moment, and I couldn't get past how adorable it is! She's also a big lover of baths and loves her bubbles, so I decided to get her the Field of Dreams Bubble Bath. I wasn't able to smell this as I didn't want to break the seal, but it sounds pretty delicious! Despite the fact I got the Cranberry & Lime candle, I had to have the scrub as well! I'm so happy I got this, because this is my favourite scent ever! This is oil based, so it does get a bit messy! There is so much product in here too, so it's definitely worth the money! I purchased the Blackberry and the Kontiki for my mum to try out. Paul & Liz, who run Get Drenched, were lovely enough to throw in another one, which I can't seem to find anywhere on their website! I added this one to my mum's gift pack, as I have so many already and didn't want to be greedy! I got this free with the first $100 spent! 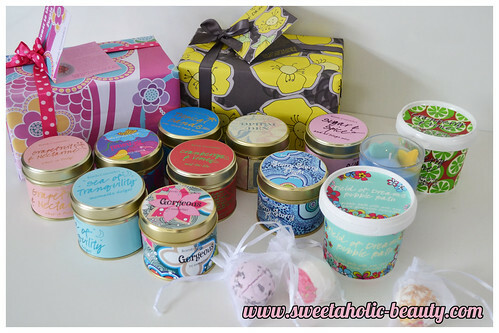 This one I added to my mum's gift, as it contains heaps of goodies that I know she'll love! You can check out what's included in the pack here. I got this one with the next $100 I spent - oops - and haven't decided what I should do with it yet! I'm considering keeping it for myself, or keeping it as a last minute gift for someone I might have forgotten! This contains a heap of goodies that I'd love to try out, so it might end up being mine! You can check out this one here. I'm very excited about all these new goodies! 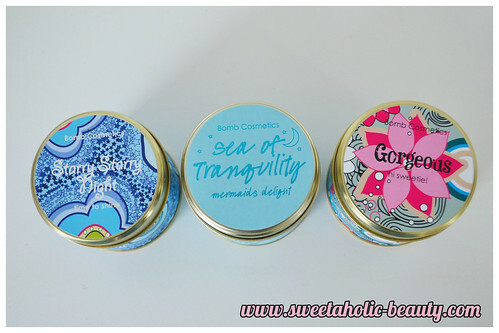 The service from Get Drenched was absolutely amazing too, I ordered a few candles that weren't in stock, and they emailed me straight away to let me know so I could choose something else, as well as an extra goody for the trouble caused! This was excellent customer service, they really went out of their way to make me feel like a valued customer! They also left me a little note in the box when it arrived (after just a few days - so quick!) to say thank you for order, which I always find really sweet! I'll definitely be making an order again soon, for Christmas gifts for workmates and family, but I'm sure I'll add a few goodies for myself too! So if you haven't already ordered from Get Drenched, now is the time to do it! Not only do they offer free shipping for orders above $100; they're also offering a free gift pack (as seen above) until the 19th of December - plenty of time to stock up! 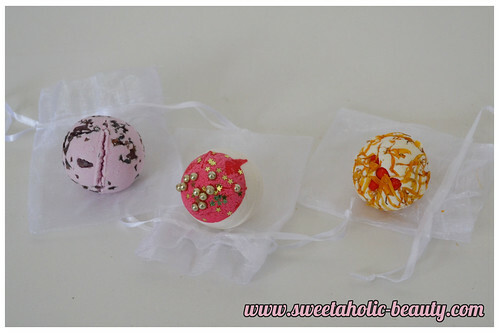 Have you ordered from Get Drenched before, or tried anything from Bomb Cosmetics? If so, what are your thoughts? They really would, they're just so pretty! The packaging is really good! 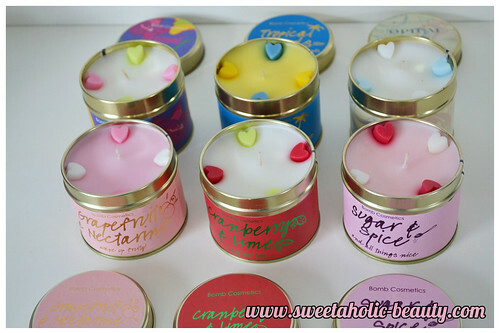 Love candles and really want to try these out! omg this is screaming for me to buy from Bomb Cosmetics! ive heard so many good feedback about their products aswell as customer service! Amazing haul! 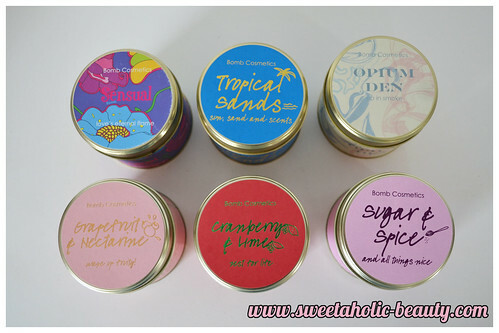 I've been so tempted to purchased from Bomb Cosmetics a few times now so Christmas might be the perfect time! I love the presentation of all their items! Ohhhh I'll have to make a purchase when I get paid :) Your haul looks amazing! They are gorgeous! It's a shame I don't need anything from them at this point!